Very nice. 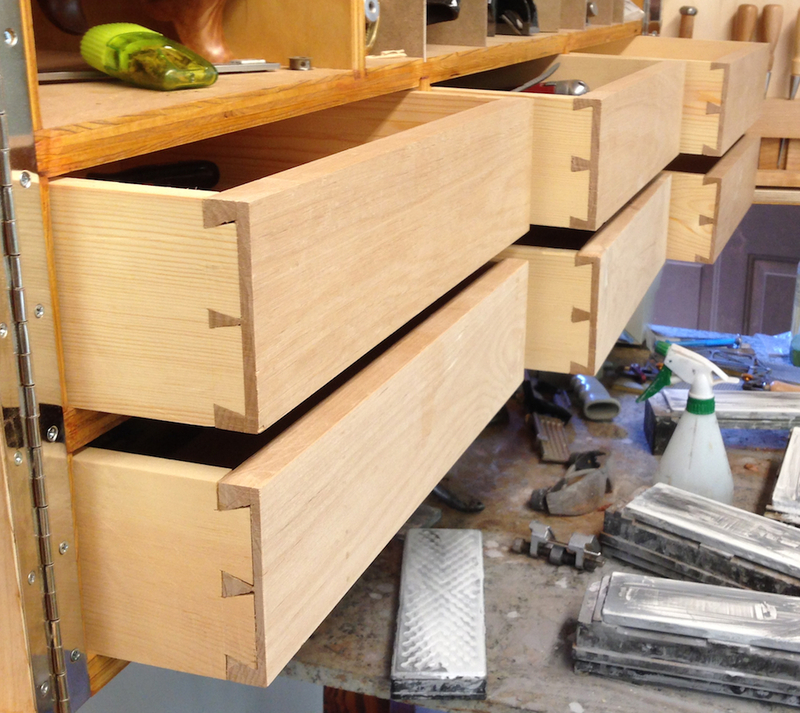 I’ve used the citric acid trick that CS blogged about to get the same look on some hinges. 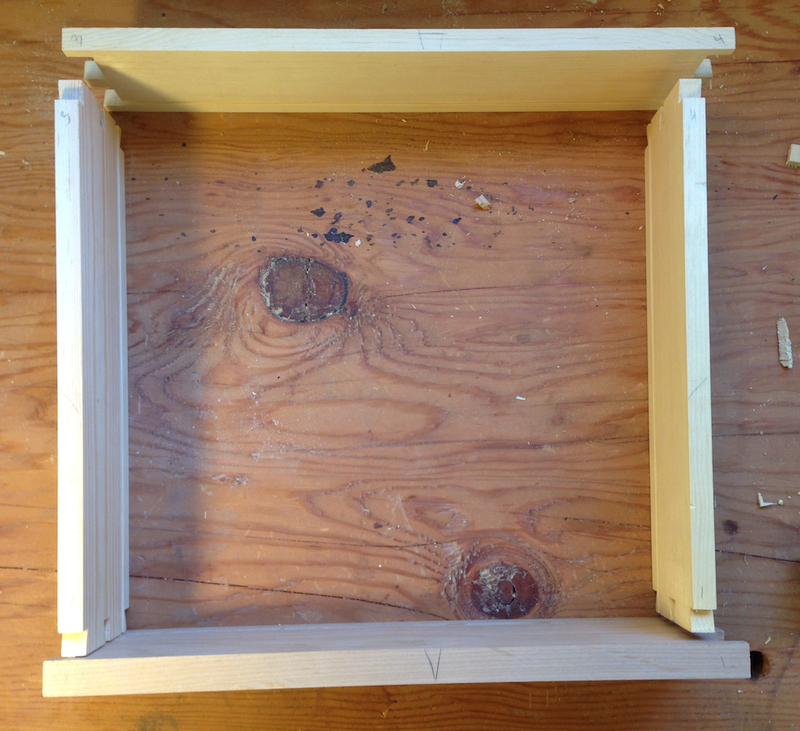 I thought about a hanging wall cabinet but decided to go the traditional floor chest route. 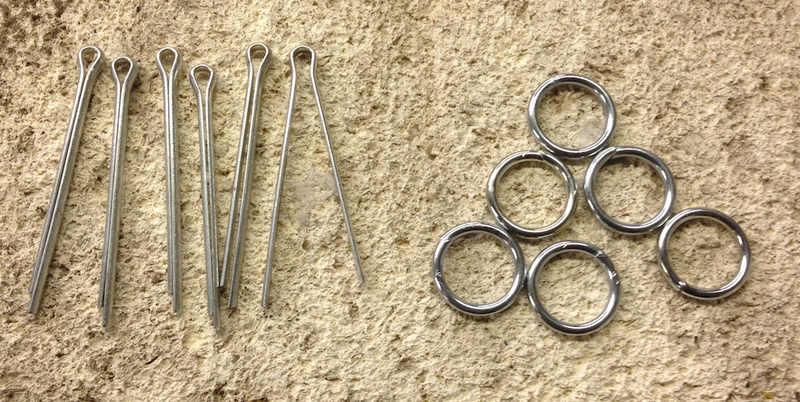 I will use this (Cotter Pin & Welded Steel Ring Trick) for pulls on the sliding tills. Thanks, again nice job. Happy New Year. I don’t know if the citric acid would work on the chrome, it might. It’s good on the zinc though. Using a propane torch was fast, less than two minutes start-to-finish. 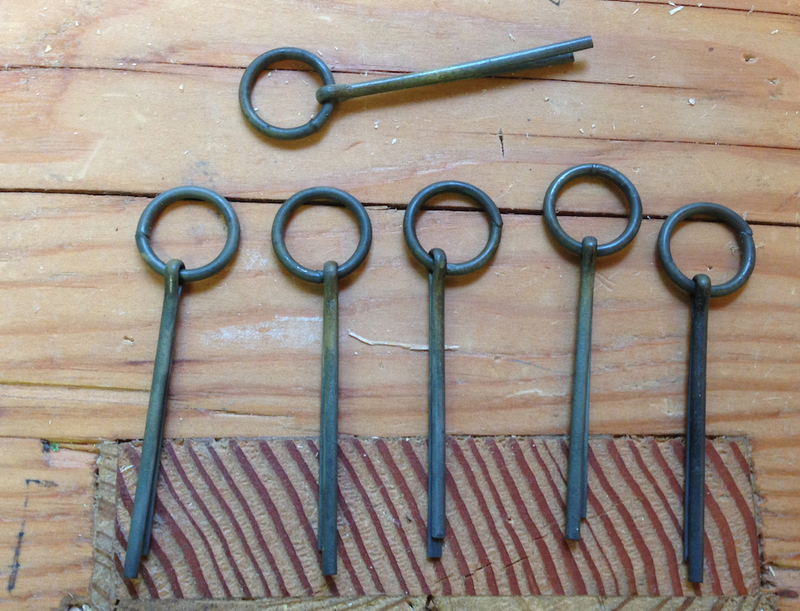 The best bet (IMO) would have been to get the brass cotter pins (1/8″ x 1.5″ would be a great size) and make some brass rings. I don’t think that would take that much time, maybe half an hour or a bit longer if you hard-solder them closed. 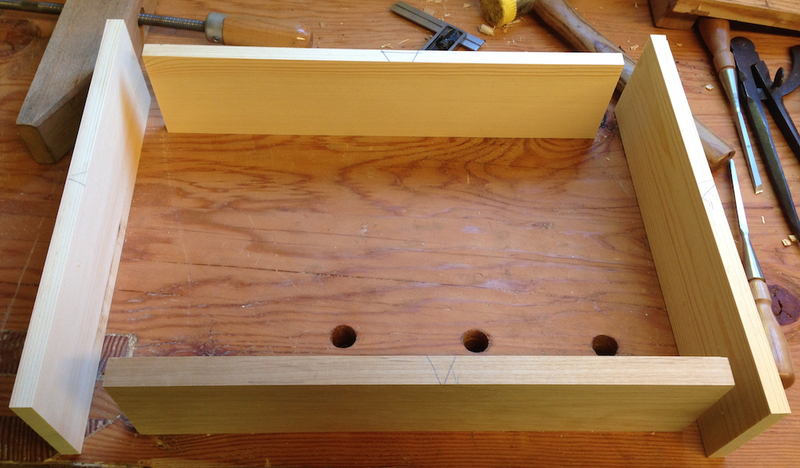 nice trick with rings and cotter pins. 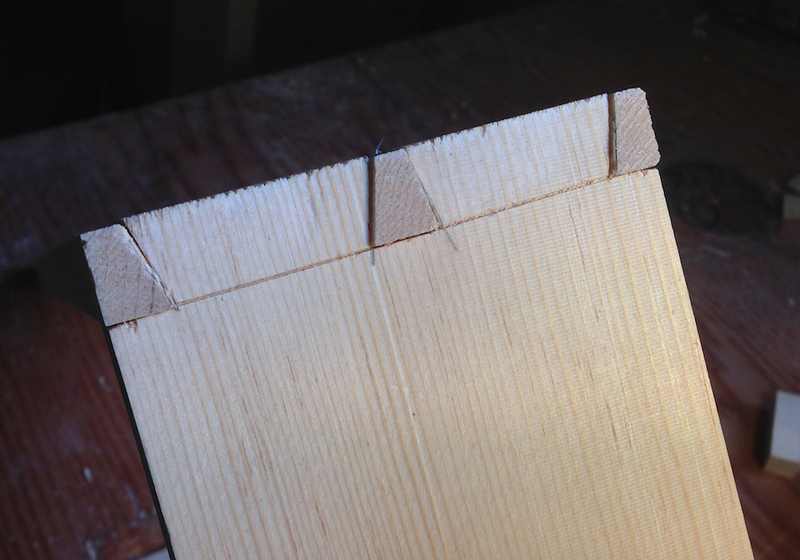 Did you sharpen the ends of the cotter pins or did you just bang them in as is when you cinched them? 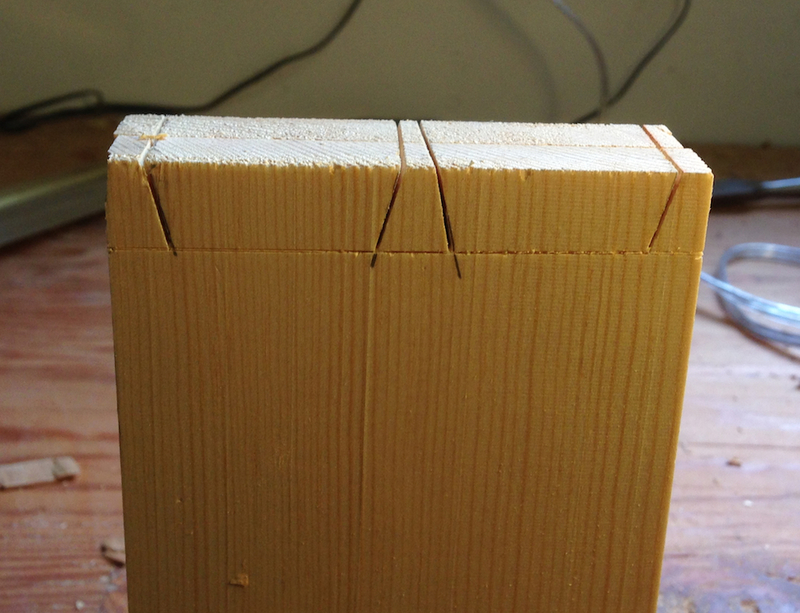 Are you going to cover the raw edge of the plywood with iron on banding or leaving it natural? I just banged them in, they drove in early easily. And they clear the doors with room to spare. 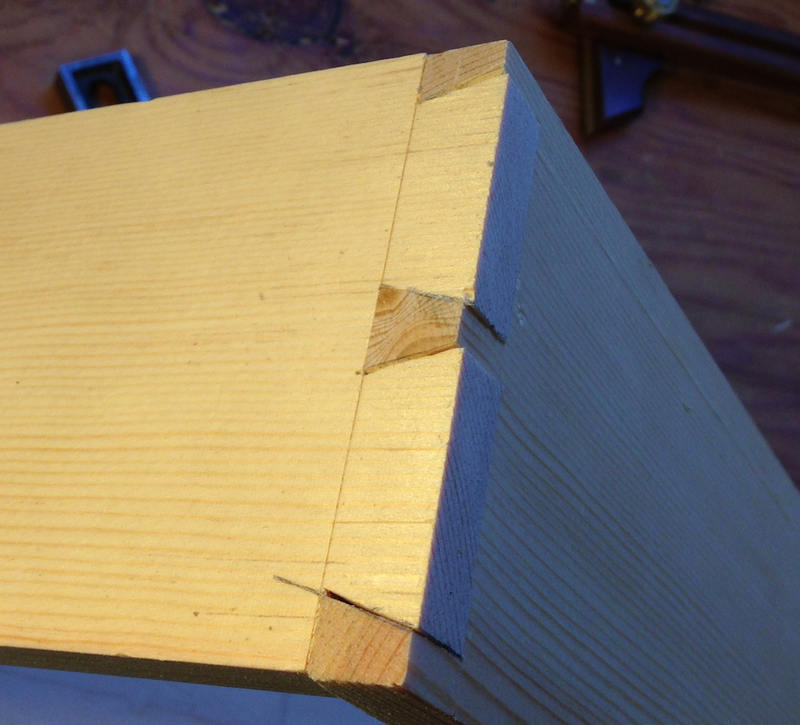 I was going to use edge banding, I even bought some and put it on one edge but I didn’t like the look. It was too fake. 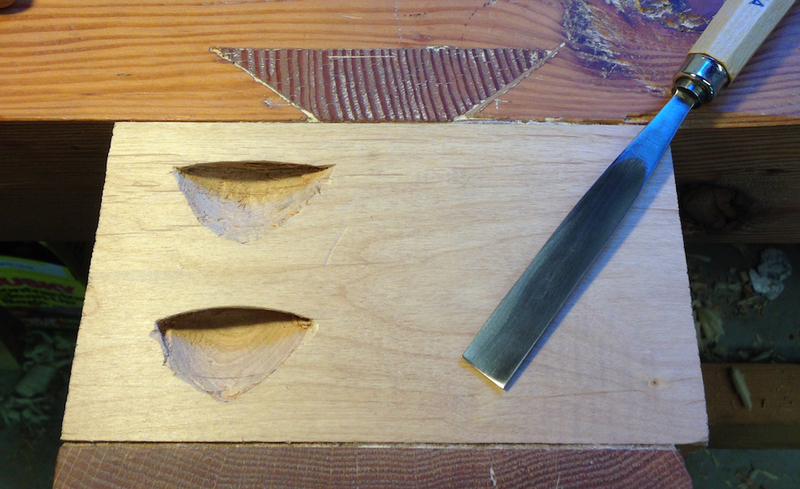 If I was doing it over (and was concerned about appearances) I’d start with a better grade of plywood with a better veneer face and use solid edging. 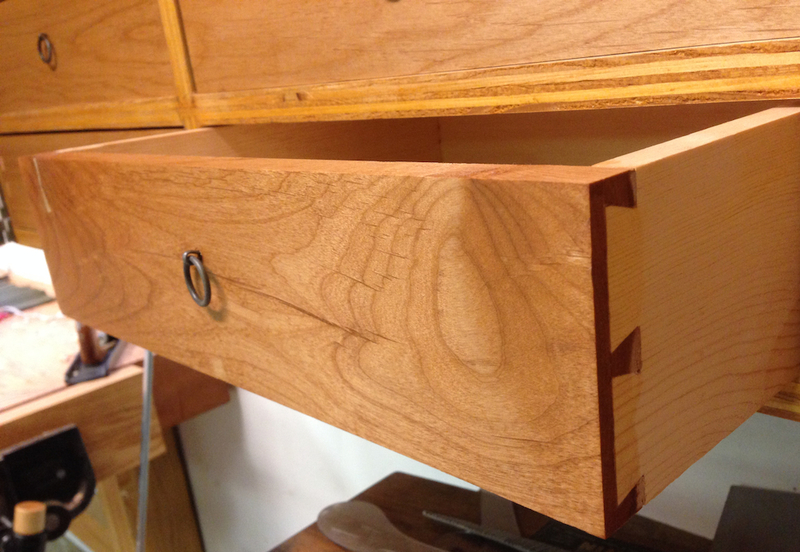 As it is, I’m pleased with the functionality of the cabinet and I think it looks OK.
Nice to read it . i appreciate your post .